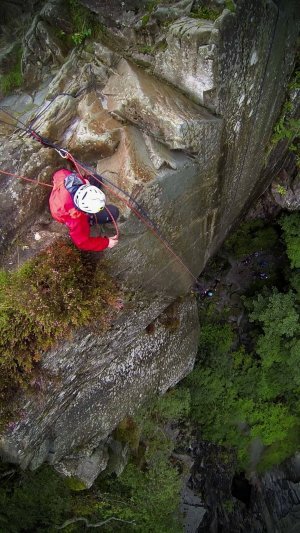 Abseiling is suitable for groups of all abilities and ages and gives an exhilarating yet extremely safe experience. We often set up a number of different abseil ropes at the same time giving different levels of challenge across the same group. When not abseiling we are all close by giving a very social and fun activity for groups. Thorough briefs and demonstrations will be given buy our qualified instructors who will be at hand to help out and watch over all aspects of the activity and guide everyone individually through the techniques required for a smooth abseil. See our Group Abseiling Video.